I have a serious weakness for carrot cake. My mother makes the most delicious carrot cake- She’s made it for me on my birthday for as long as I can remember. I usually eat the leftovers for breakfast the whole week. Turns out all that cream cheese frosting, butter and sugar is not so good for you when you eat it three meals a day. 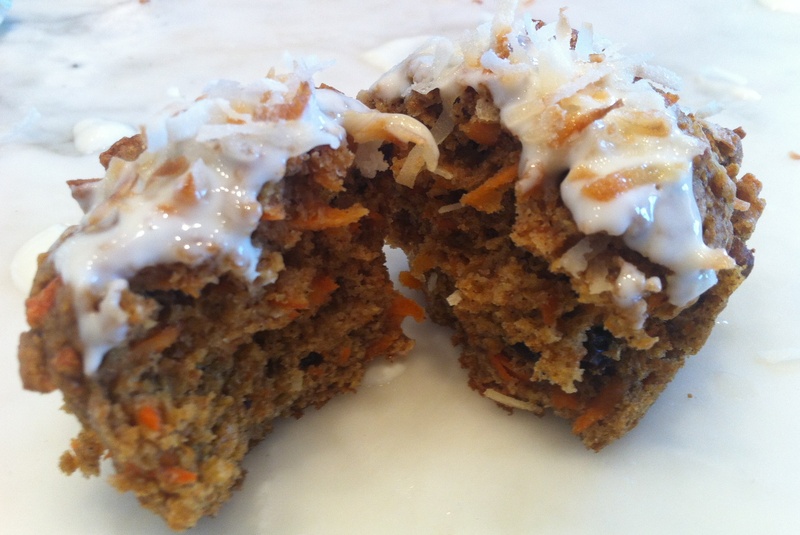 Then I came across this recipe… fantastically delicious and healthy but tastes just like her buttery, creamy carrot cake. 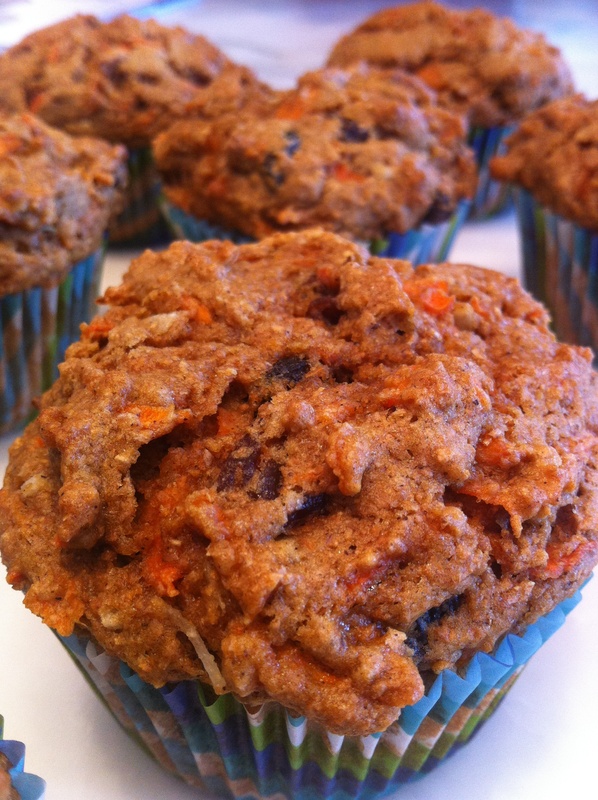 Carrots, raisins, apple sauce and almond milk make this recipe moist and hearty. Each muffin is only about 188 calories! They are a perfect power breakfast before heading out to ski. Wrap them individually and freeze them, when you’re looking for a quick bite, pop it in the microwave. The whole wheat flour makes them filling and nutty! These are delicious without the frosting too but why would you ever want them without frosting? I know you are going to love these! Enjoy! Line a 12-cup muffin pan with liners and spray the inside of the liners with cooking spray. In a medium bowl sift together flour, baking soda, baking powder, cinnamon, ginger, nutmeg and salt and set aside. Beat brown sugar, vanilla, oil, egg, and egg whites together until creamy. 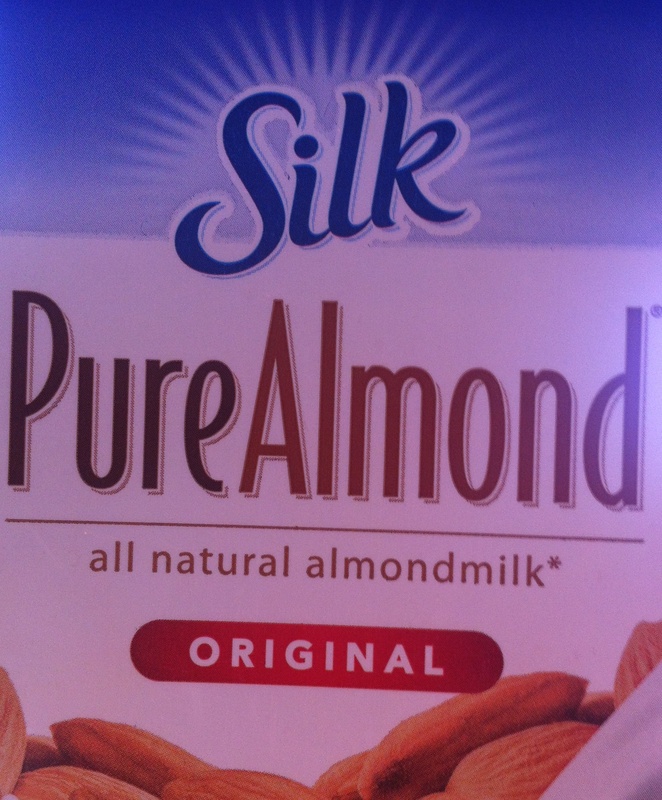 Add in almond milk and beat again. 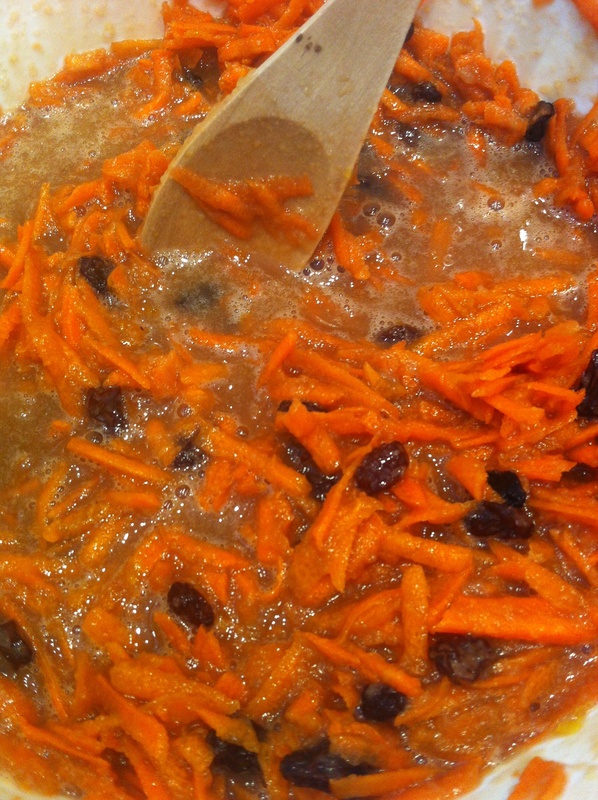 With a wooden spoon fold in carrots, applesauce, raisins. Mix in flour mixture until just combined be careful not to over mix! Fold in the walnuts and the coconut flakes. Spoon batter into the liners and bake for 23-28 minutes or until a toothpick comes out clean. Oven temperatures vary so you may find you need more or less time depending on the flours you use. 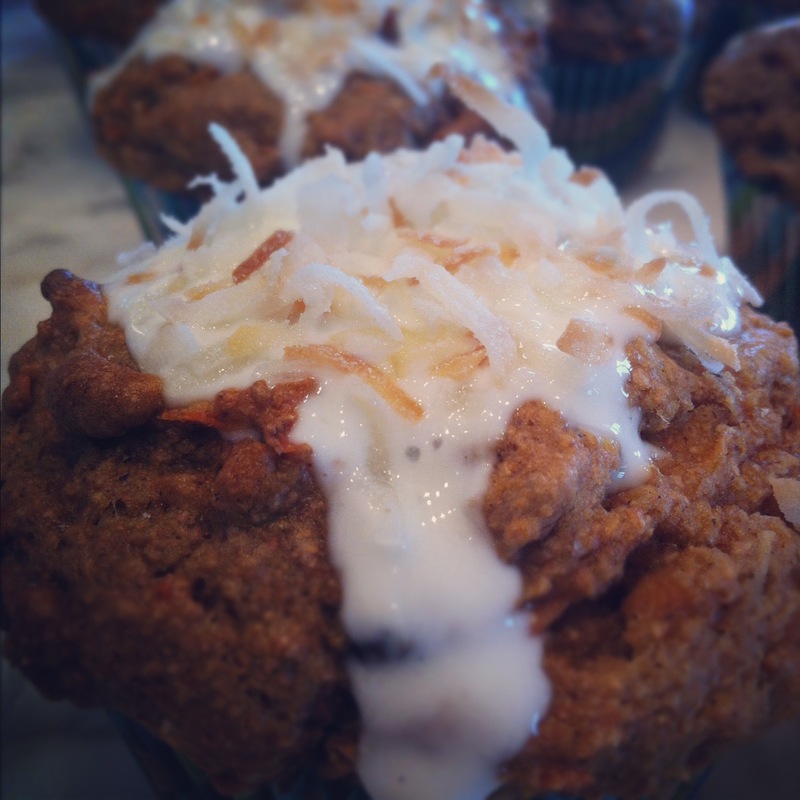 While muffins are cooling combine sour cream and powdered sugar in a small bowl and set aside until muffins are cool. 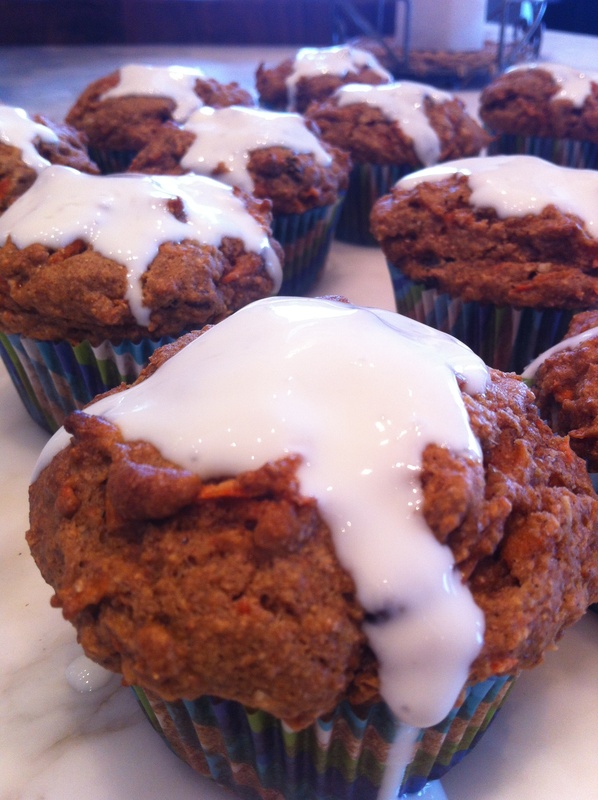 With a small spoon drizzle the sour cream frosting over muffins. Lightly toast coconut in oven or toaster oven until golden brown (about 2minutes) and sprinkle over the top of frosting. 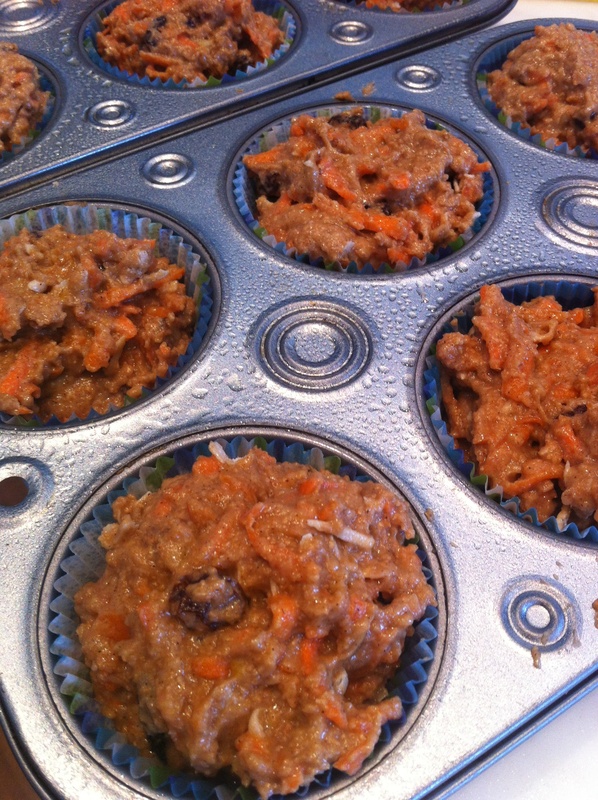 This entry was posted in Baked Goods, Breakfast, Recipes and tagged breakfast muffins, carrot muffins, coconut, morning glory muffins by skibootsinthekitchen. Bookmark the permalink.